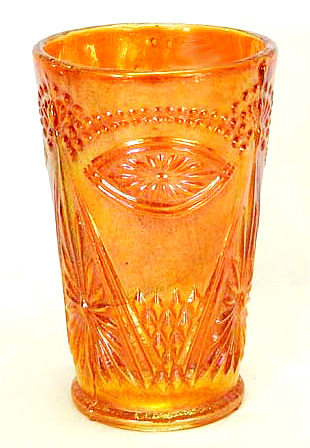 I know nothing about this curious marigold tumbler other than it sold in 2016 for $160. First time I've heard of the pattern. The auctioneer listed it as non-American and that it had been found by Karen Rath. Photo courtesy of Seeck Auctions. Last updated 1/19/2017 In early 2017, Claudio Deveikis of Brazil sent me this photo of a group of his Eye of the Queen bowls which he says are made in Brazil. 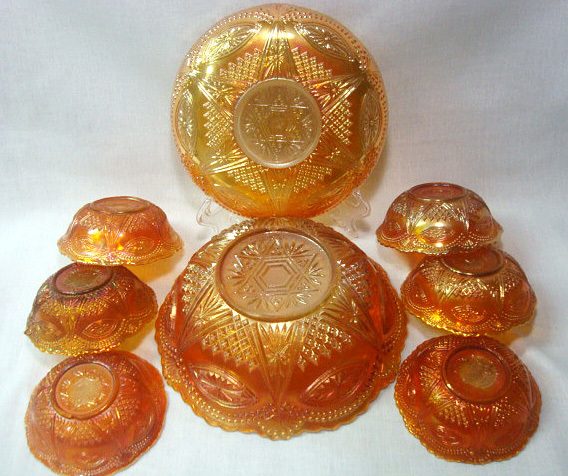 He points out that this is the name used locally and that thay are found in several other shapes as well as in uniridized glass.